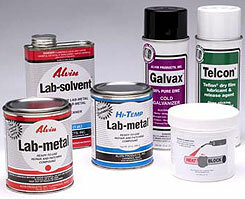 LAB-METAL ready-to-use repair and patching compound. Aluminum-filled dent filler for thousands of repairs. "Spreads like paste, hardens into metal", simply by exposure to air. Lab-metal fills dents and flaws in metal and nonmetal parts easily and economically. Apply Lab-metal right from the can with a putty knife or similar tool. No two-component mixing or measuring is necessary, therefore there is no waste. Heat, special tools and specialized skill are unnecessary. Lab-metal adheres to any clean and dry metal, wood, glass, plaster, porcelain and hard plastic surface. Its strong bond withstands vibration and other difficult conditions. Lab-metal hardens quickly without heat, providing a durable metal surface. 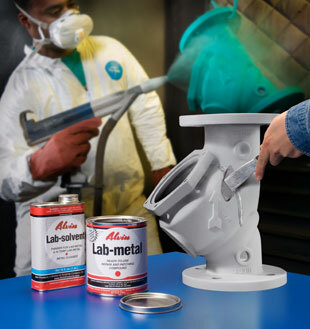 Application tip: Lab-metal and Hi-temp Lab-metal harden upon exposure to air, thus the user may need to keep the applicator wet with Lab-solvent in order to aid in smoothing the application (and reduce "pulling"). Similar properties to Lab-metal but will air dry and withstand 450F without the need for "heat curing". 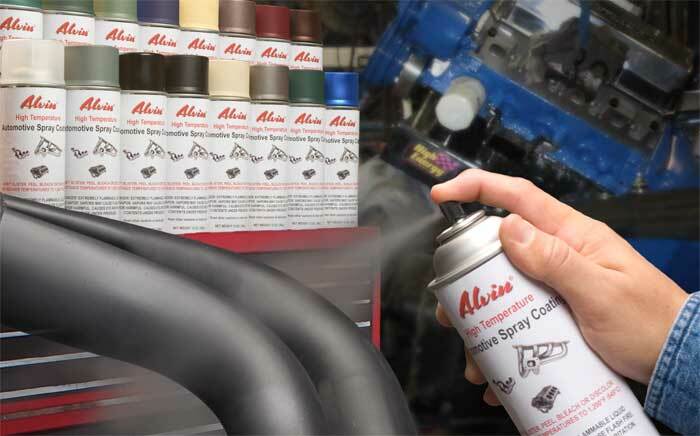 Alvin’s Weld Thru Weldable Primer is available in aerosol cans, quarts and gallon containers. Primer is applied to any metal surface and provides a weldable rust proof coating and will ensure quality welds. This paint reduces porosity and pin-holing. This versatile primer can be applied to any metal surface and will provide a zinc coating and will prevent the formation of rust and corrosion during extended periods of time.